This Place of Worship was founded in 1950, and we understand it is still open. A Separate Building, duly certified for religious worship, named BUXTON SPIRITUALIST CHURCH situated at Holker Road, Buxton in Chapel-en-le-Frith registration district in the county of Derby was on the 26th May 1952, registered for solemnizing marriages therein, pursuant to section 41 of the Marriage Act, 1949. Dated 29th May 1952. Possibly this was the Church's second home in Buxton, as a notice of cancellation of the registration of "NEW BUXTON SPIRITUALIST CHURCH situate at One Room, Second Floor of Melrose Cafe, Spring Gardens, Buxton" was published in the Gazette of 23rd January 1951 (p.437). Its original registration was on 28th April 1942. More information about this - when meetings were held "above shops and in houses" - is available in the "About Us" section on Buxton Spiritualist Church website. See also the church's entry on the Spiritualists' National Union website. Buxton Spiritualist Church, Buxton shown on a Google Map. You may want to visit Buxton Spiritualist Church website for present-day information. Information last updated on 3 Feb 2019 at 13:06. 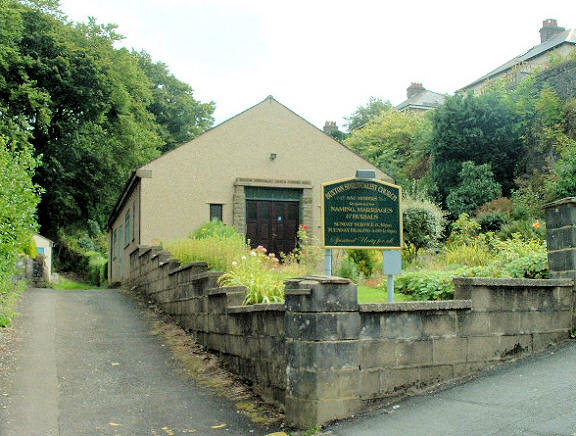 Please also remember that whilst the above account may suggest that Buxton Spiritualist Church remains open and accessible, this may not remain so. This Report was created 8 Apr 2019 - 00:00:17 BST from information held in the Derbyshire section of the Places of Worship Database. This was last updated on 6 Feb 2019 at 15:49.